Because of the cast webbing on the underside of my drill press table, it can be difficult to clamp a fence or workpiece to the table. To solve this problem, I made these simple clamping blocks. 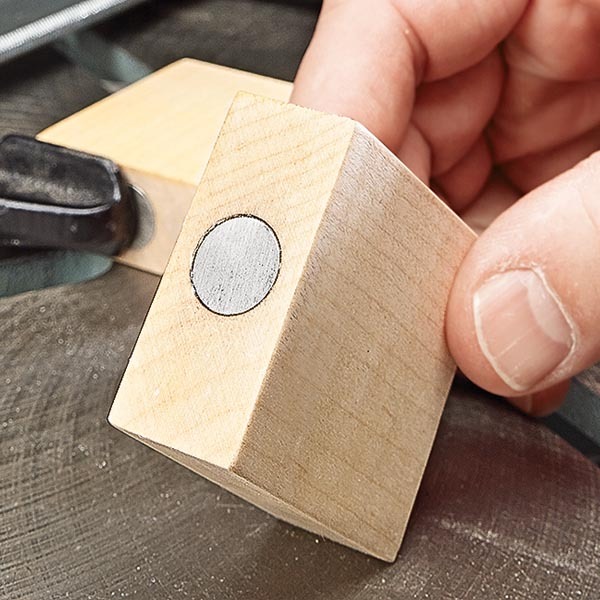 So you don’t have to fumble holding the block and clamp, a rare-earth magnet is recessed in the end of the block. I like to keep several sizes of blocks by my drill press to accommodate varying sizes of items that may need to be clamped to the table. 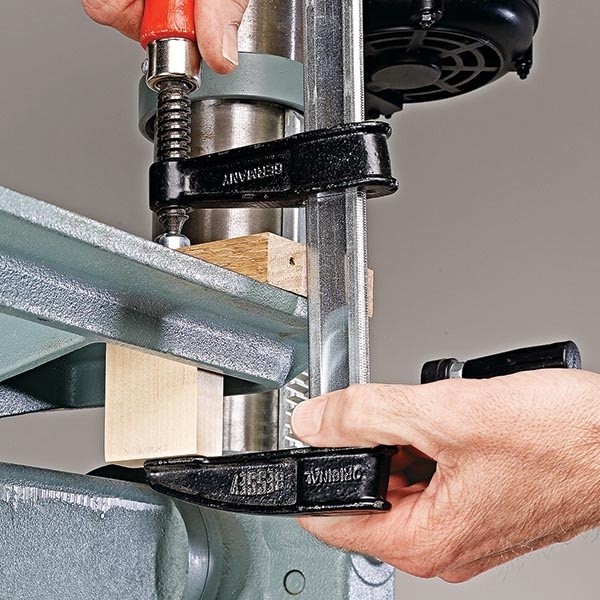 Simply stick the magnet end of the block to the underside of the table and clamp it in place.